Day Dreams Foundation was founded in September 2014. We are a 501(c)(3) tax exempt organization. We serve children ages 18 and under in Columbia, Missouri. Our mission is to eliminate financial barriers to participating in extra curricular activities and promote healthy life styles, goal setting, academics, teamwork and respect for others. 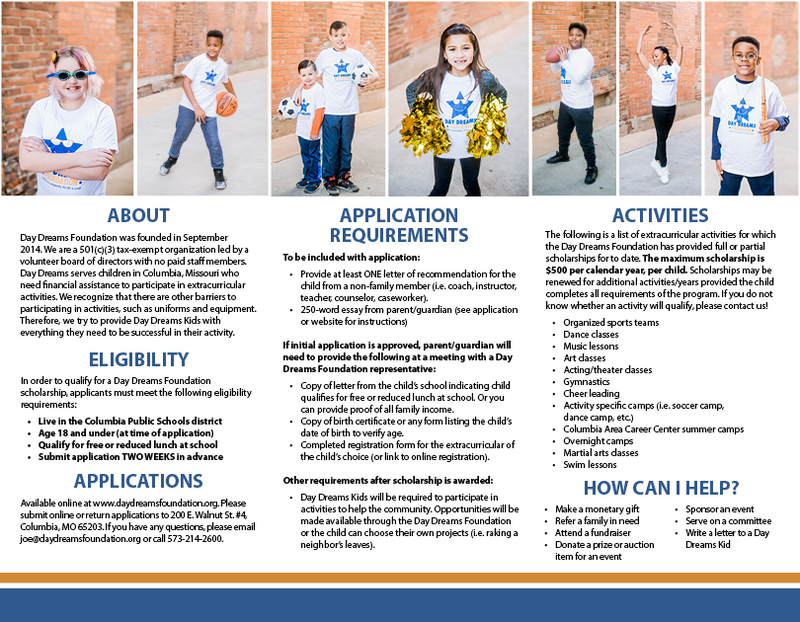 Children who qualify for free or reduced lunch at Columbia Public Schools can apply for scholarships from the Day Dreams Foundation to pay for the fees associated with extra curricular activities. That could be youth sports, dance classes, music lessons, art classes, and many more activities! We recognize that there are other barriers to participating in these activities, such as uniform and equipment costs. Therefore, we try to provide Day Dreams Kids with everything they need to be successful in their activity. The application includes at least one letter of recommendation from a non-family member and a letter from the parent/guardian. 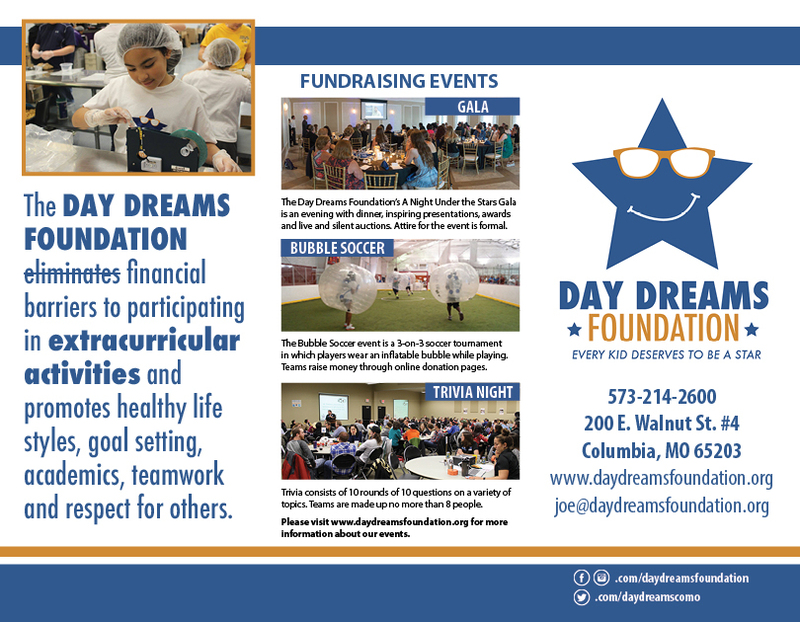 Scholarships with the Day Dreams Foundation can be renewed from year to year, if the child’s coach/instructor and teacher indicate that the Day Dreams Kid provided a satisfactory effort in both the activity and in the classroom and if the child completes their required service hours.